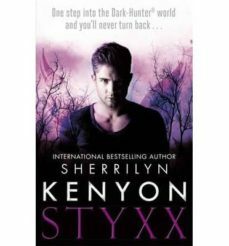 The most highly-anticipated novel in the Dark-Hunter series since Acheron is here - the unforgettable story of Styxx, Acheron's twin brother and one of the most powerful beings on earth Just when you thought Doomsday was over ...Centuries ago Acheron saved the human race by imprisoning an ancient evil bent on absolute destruction. Now that evil has been unleashed and it is out for revenge. Misjudged, condemned, betrayed and abandoned, this is Styxx's only chance to set the record straight. He hasn't always been on his brother's side but now he could prove his loyalty ...if he's willing to trade his life and future for Acheron's. When allegiances are skewed and no one can be trusted, not even yourself, how do you find a way back from the darkness that threatens to consume the entire world - one that may soon devour your very soul?